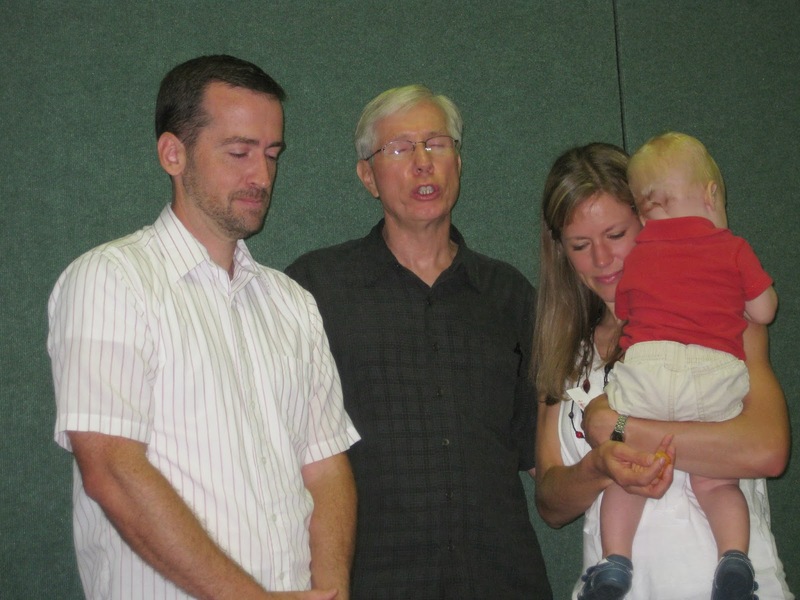 It took us a while, but we finally dedicated JP to God a year after he was born. We’ve always felt that he was a gift from God to us, and we wanted to publicly say that we know he ultimately belongs to God, and we pray that God will use him in big ways in the future! He wasn’t very cooperative up front, but that’s to be expected, right? I was really glad that my mom was able to be there, as well. We hope that those in attendance will take their commitment to pray for us seriously!